Purchase this product now and earn 28 Bench Marks! The corner-rounding bit rounds an edge to a given radius. 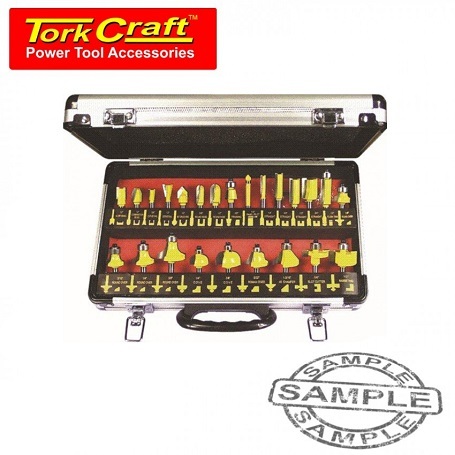 The tool is shouldered to cut a fillet if required. 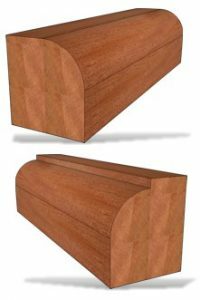 The cut can be used to ease edges, as a simple profile, or as a part of a complex one. 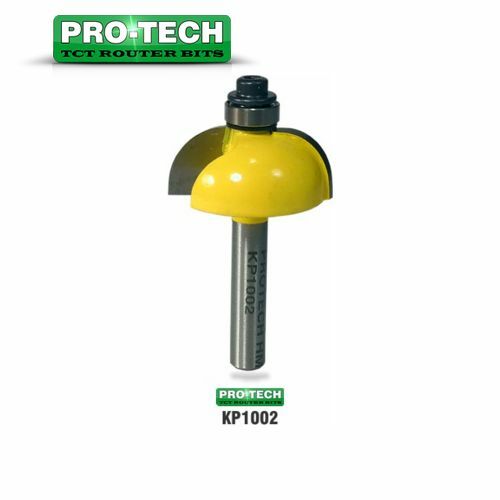 Other names for this router bit are round-over, rounding over and quarter-round. 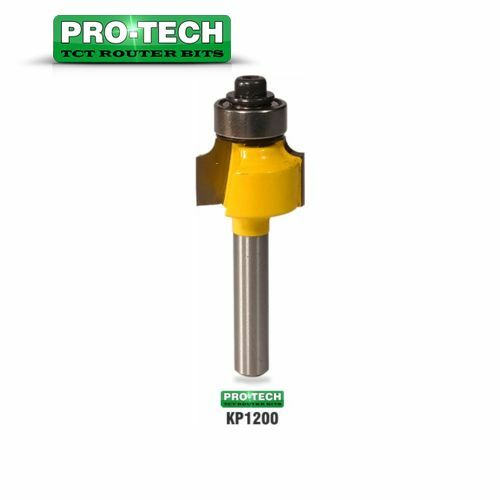 If a smaller pilot bearing is used, a second shoulder can be produced, in effect making the bit a beading bit. Rounded edges give a project a softer, smoother look. The greater the radius of the round-over, the more pronounced this effect becomes. How to measure the radiusRounding an edge makes it more durable because it won’t show dents, splinter, or lose its finish as easily as a sharp corner. Like a knife that loses its sharp edge, a rounded corner is more “friendly” to people or objects that come in contact with it. 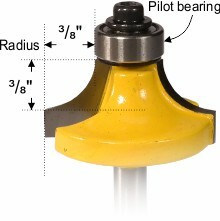 Manufacturers classify round-over bits according to the radius they cut. So, a 3/8 inch round-over bit cuts a 3/8 inch radius, and so forth. 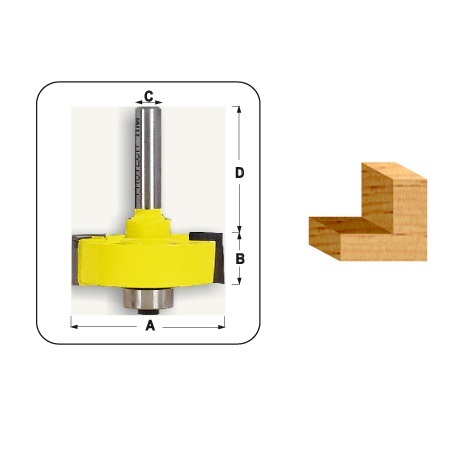 To determine the radius of a round-over bit, measure either of the dimensions shown in the drawing. 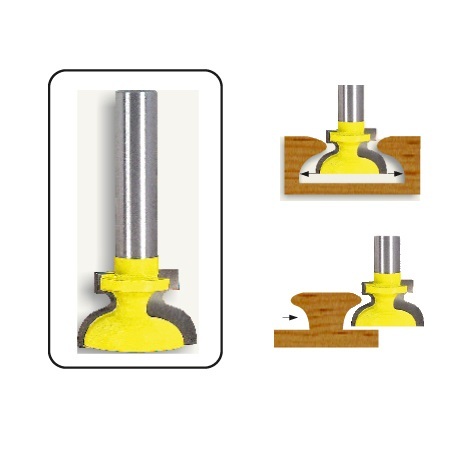 This router bit has a 6,35 mm shank (shaft) that will fit most small or large routers. 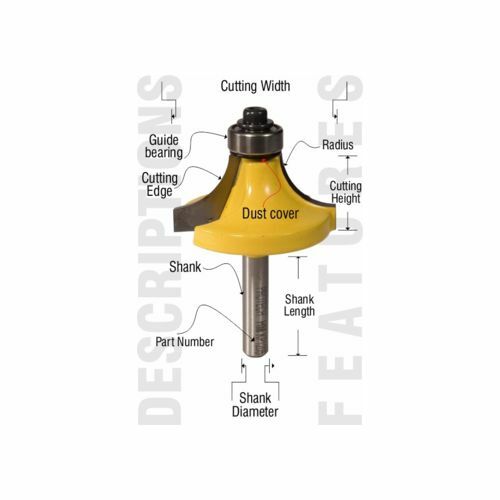 Please ensure that you select a router bit with a shank (shaft) size that will fit into your router collet. Need to just take off that sharp edge but done want a large profile , then this cutter is a must. Should last you a life time in a hobby shop.